The peanut sauce looks like it has lots of peanut, which is how it ought to be. 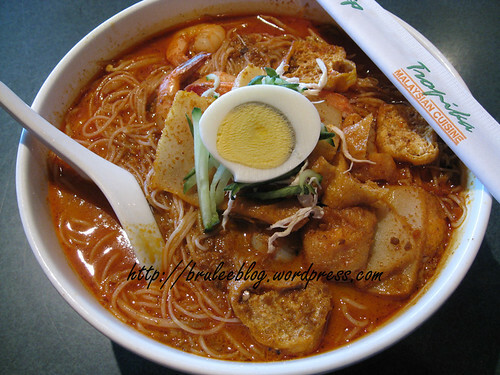 It’s amazing that the laksa is so huge, but as you say a shame it hasn’t got more veggies. Their peanut sauce is one of the things they do really well, so I always make sure to order some satay when I go there. And what did you eat? You have to share, you know. I think you ordered more of a variety than I usually do, so good for you!